Bimbi Day Care are a child care / early learning business located in Tullamarine and Airport West. 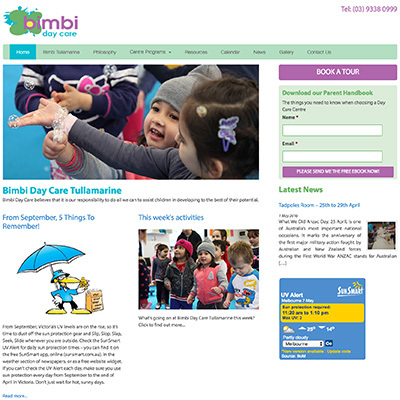 When we first started working with Bimbi Day Care they had centres in Airport West and Tullamarine. The Tullamarine centre was a recent acquisition and placement number were far below capacity. There are quite a few child care centres in the area and surrounds. The biggest issues for Bimbi Day Care was that they had no internet presence, and therefore no real marketing penetration. What they did have though were a couple of great centres, fantastic staff and a family approach to early learning. 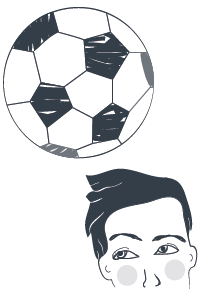 To address their lack of web presence we set about building them sites for each centre, as well as a central site. These sites would act as both a marketing tool for families looking to place a child in child care in the area, and also a place for families of the centre to go for information about what was happening in the centres. That approach has been quite successful with both centres now boasting excellent numbers, and Bimbi Day Care having a high exposure for their key search terms. We are in the process of rebuilding their sites. This is not uncommon for our clients, as we allow for this in our program. We do this for many reasons, but a large part of it is that we learn as we go about the needs of a business, so often we see opportunity to improve, and the technology and tools available to us to do this are always changing.